This was the central question of a debate held as a scholarly exercise between American and British lawyers in Philadelphia on Tuesday night, at Ben Franklin Hall. Clearly, I’m partial to the outcome of the debate, but the points put forward by both sides were interesting to say the least. As a fan of Natural Law, I definitely support the argument the American attorneys put forth. These sorts of exercises are important in remembering why we are a country, and what had been the philosophical basis of our founding. We need to remember our history and heritage of liberty, no more than ever. The event was sponsored and presented by the Temple American Inn of Court in conjunction with Gray’s Inn, London. H/T to Drudge for finding this story. The Declaration is unquestionably “legal”. Under basic principles of “Natural Law”, government can only be by the consent of the people and there comes a point when allegiance is no longer required in face of tyranny. The legality of the Declaration and its validity is proven by subsequent independence movements which have been enforced by world opinion as right and just, based on the fundamental principles of equality and self-determination now reflected in the UN Charter. 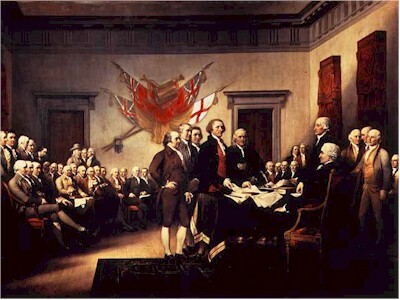 The Declaration of Independence was not only illegal, but actually treasonable. There is no legal principle then or now to allow a group of citizens to establish their own laws because they want to. What if Texas decided today it wanted to secede from the Union? Lincoln made the case against secession and he was right. The Declaration of Independence itself, in the absence of any recognised legal basis, had to appeal to “natural law”, an undefined concept, and to “self-evident truths”, that is to say truths for which no evidence could be provided. The grievances listed in the Declaration were too trivial to justify secession. 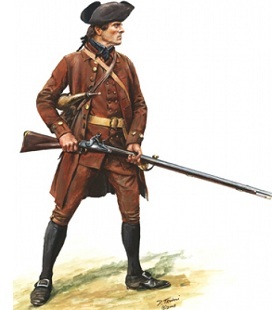 The main one – no taxation without representation – was no more than a wish on the part of the colonists, to avoid paying for the expense of protecting them against the French during seven years of arduous war and conflict. As per the norm, our British friends were slightly more long-winded. Go read the entire story. Then go read the Declaration of Independence and decide for yourself. We should really all review these documents occasionally.